I used to be awesome. There’s still chubby in her hands. She was wearing my scarf on her head because she wanted long straight hair like me. Oh my gosh I miss these days. I can remember them because I took these pictures. It almost makes me lose my breath because, moms, how is it possible to miss it when all we wanted was for it to be gone? Is that not the most unfair and confusing feeling? To look back and miss what you only wanted to make it through alive? How? It’s a question I have for God because I cannot make sense of it. In 2013, I stopped carrying my camera everywhere and started working everywhere. Isn’t it a cruel thing to do something for your kids at the expense of time with them? It’s turned out to be the right thing but as I was sifting through my old hard drives trying to organize them, I realize how much my creative eye has missed. I haven’t watched them though my lens and I see them the best though that tiny eye-piece. I see them as a beautiful piece of art, as a moment gone forever and not as a kid who’s whining and won’t be getting her way anytime soon. I see them as subjects and not my kids who must be “mommed.” I’m better with my face smashed into the back of my camera. As I did more sorting, I decided now is the time to get back into it. To see them though my lens again and not just through the snap of my iPhone shutter button. It’s not the same, for me at least. God gave me the love of photography for a reason and I think it was to be able to give my kids the gift of their story before they were old enough to tell it. 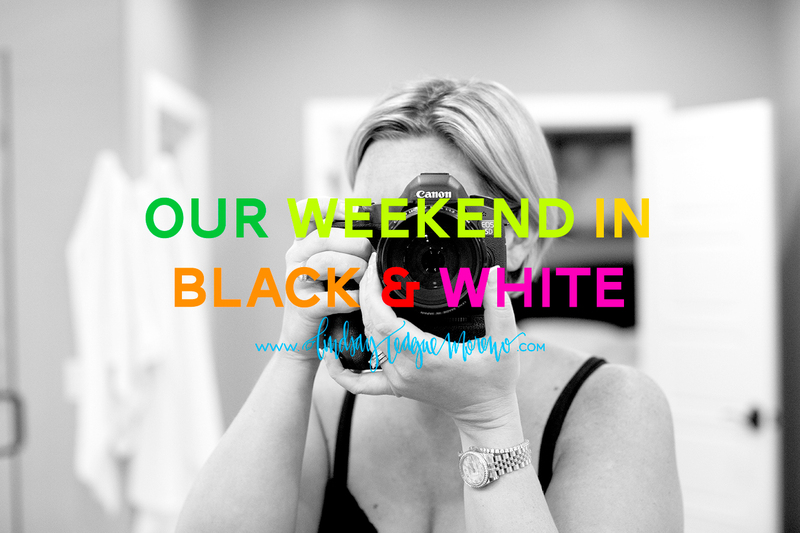 I challenge you to see your kids though your lens this weekend coming up. Just observe them and take pictures of what they do at this age. I’ll give you my black and white conversion tips this week so you’re fully prepared. It’s easy as pie. You’ll appreciate it in a couple of years when they’re 2 years older and 2 years closer to not being around to document. Here’s to the hardest job I’ve ever had, Moms! This is just one step we can take in the name of doing the best we can. Oh my. You I inspire me to learn how to use my canon better. Love these. What a treasure. Adorable! Your girls are so pretty. Love that Michael is so involved too! Great pictures and great reminder to be present. Great pictures of your family! I love B&W photography! And realized scrolling through your photos that I haven’t picked up my canon in a long time. Going to make sometime this weekend. Thanks for sharing! Good Job Lindsay! These are Beautiful! Full of Life! The way things should be! I’ve said this before….”a photo not taken is a memory lost” don’t loose to many! I’ve had a HUGE interest in photography since I got an antique pop up camera from my dad in 7th grade..always wanted to be a photographer. The closest success I had was selling my photo cards to the Split Rock Lighthouse gift shop! It made me happy that my cards were being purchased and sent all over the world! And then my daughter Jenny made my dream come true thru her, she became a photographer! And met you…the rest is History! Love ya fine Lady! Keep snapping!! ? Made me smile. Thank you! Great photos!! And I love what you wrote! ?? I love black and white also even the old movies in b/w. Somehow black and white captures more details then color. Jaime, Erin’s sister does a lot in black and white. Beautiful pictures, Lindsay! Love this! Can you share what lens you used? I have such a difficult time with the indoor photography. Your girls are so beautiful ? Teach me!!! Haha! I love taking pictures, the editing (like what software to pick, etc.) is what overwhelms me!